Welcome to the The Howdah Tea & Coffee Company Online Shop. 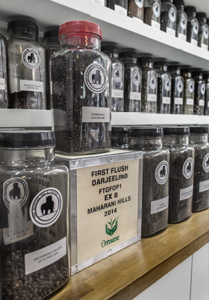 The Howdah Tea & Coffee Company Ltd is a friendly, family run business that was established in 1992. Since then we have continued to grow and now have wholesale and retail customers all over the UK. Our products are of the highest quality and every care is taken to ensure that customers receive their goods the day after the order is received. When ordering coffee you will be asked how the coffee is to be made (Espresso, Filter, Cafetiere) or perhaps you would prefer to grind your own beans. Whatever your choice, you will not be disappointed. 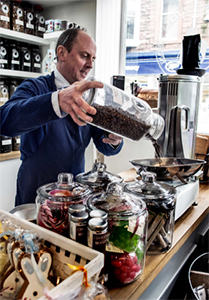 We specialise in designing coffee blends and any requests for special blends will be honoured. Why not try a blend of High Roast Java and Huehuetenango? With Howdah you have unlimited choices.